Cattle Hoof Trimming Tools For Treating Laminitis Issues. 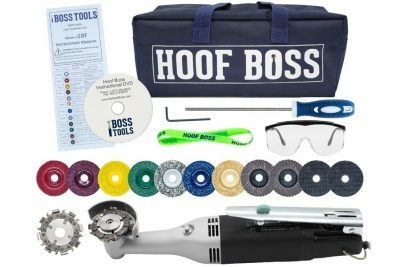 Discover HOOF BOSS, state-of-the-art cattle hoof trimming tools designed to perform intricate hoof procedures instead of high volume maintenance trimming. Weighing only 1.3 pounds, the HOOF BOSS is lightweight but powerful and can be used in the treatment of all kinds of laminitis issues including: ulcers, abscesses, white line lesions, and double soles. With precise and accurate cuts, the HOOF BOSS removes as little hoof as possible making the recovery period as short as possible. 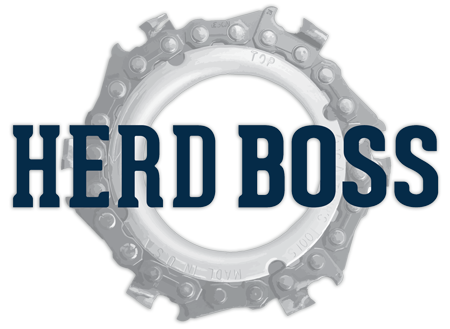 Our HOOF BOSS was developed specifically to provide the Dairymen and Hoof Trimmers a power option for doing preventative care and corrective cattle hoof trimming. The HOOF BOSS, utilizing chainsaw disc technology and replicates the actions of a manual hoof knife. The need for a manual hoof knife is diminished greatly. If you’re a dairyman and only trim a few cows, the HOOF BOSS is the perfect all-in-one trimmer for you, it can be used for low volume maintenance trimming, too. An additional benefit in using the HOOF BOSS for corrective trimming can help in getting the hoof prepped for blocking. It can be used to roughen up hooves before applying glue and to modify wooden blocks for a better fit. Unlike the manual hoof knife and nippers, the HOOF BOSS is easy for anyone to sharpen. It keeps its edge, so you’ll always get an easy and even trim. 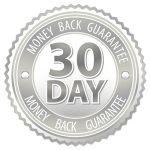 With the included diamond-coated chainsaw file you’ll save time too, as it only takes a couple of minutes to sharpen all four-tungsten carbide coated teeth. 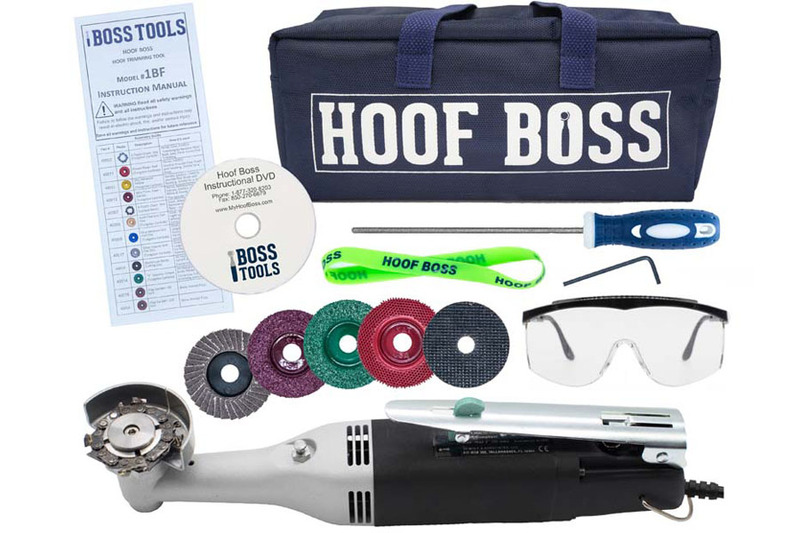 The HOOF BOSS precision and accuracy give you complete control over how much hoof you remove. You can perform the most specialized hoof care tasks and complete detailed procedures with ease with this safe, effective, and easy-to-use trimmer. Need A Solution For Herd Management? The Herd Boss is a lightweight rotary trimming disc that uses chain disc technology to decrease the wrist, arm and upper body pain that usually accompanies hoof trimming. The Herd Boss eliminates the painful chopping motion associated with other rotary blades and gives a smooth trim every time. This trimming disc is specifically designed for large cow herds. This disc is designed to fit on most 4 ½ inch angle grinders with a ⅞ “ bore.